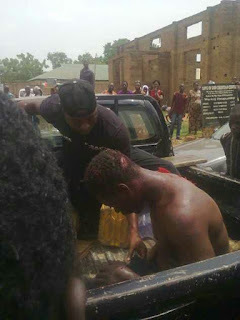 It was an highly graphic scene this morning when some set of youths identified as vigilantes from osin town of kwara state engaged in a hot pursuit of a man ‘kunle poly’ who was said to have allegedly stolen some goats from osin and was caught up with when he got to ilorin exactly opposite the muslim cementary. 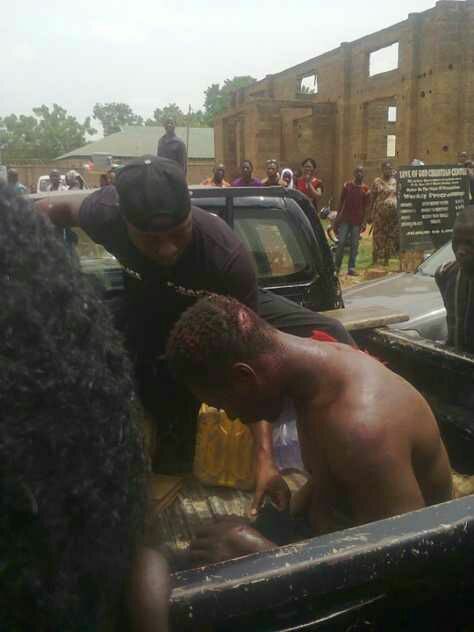 He was beaten brutally by the angry mobs who said they have been on the pursuit from osin town and they believe he was not the only culprit but he was the only one that was caught in the act while others were still at large. 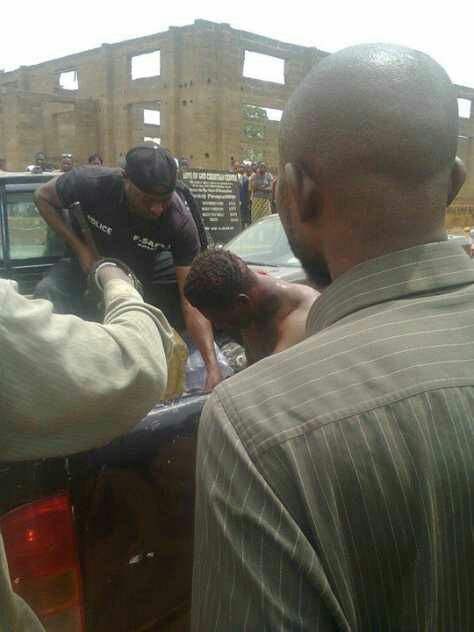 The suspect simply identified as ‘kunle poly’ was said to be a notorious gang leader who have several times led outrages. The police of the B Division and the FSARS later came to the rescue after the car ‘golf’ which was used by the suspect and the suspect himself have been damaged extremely.